Good Morning! 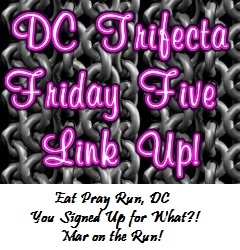 Today I’m linking up with Mar from Mar On the Run, Courtney from Eat Pray Run, DC, and Cynthia from You Signed Up for What?! for the Friday Five! This is my first link up! 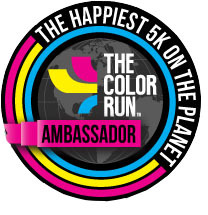 I’ve seen bloggers doing this for a while and since one of my non-running goals is to expand my blog a bit, I figured I’ll jump in starting this week. First up, here’s my bag. 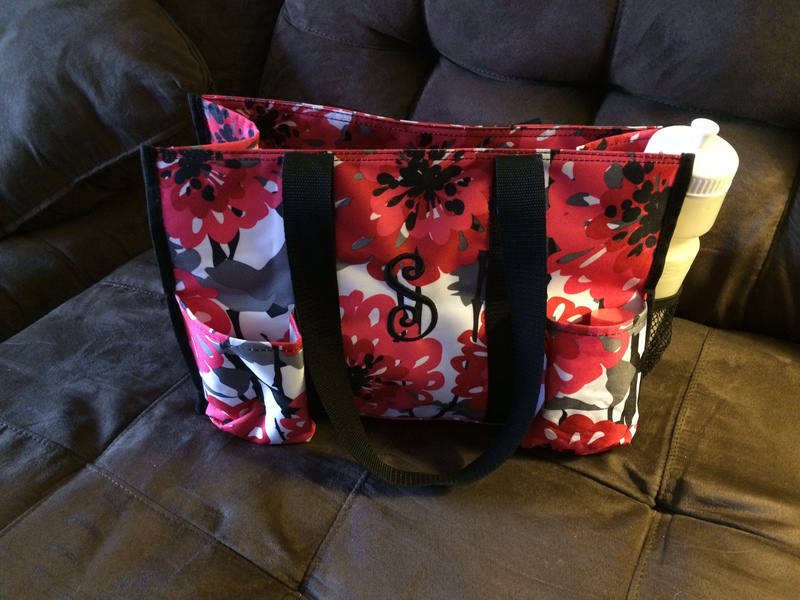 It’s a Thirty One Zip Top Organizing Tote. I liked it because it had lots of pockets and it’s not too big, not too small, can fit a pair of shoes and a change of clothes if need be. I don’t shower at the gym, so this is just the right size. Now on to the contents. I just recently got a pair – like in the past month. I can’t really explain how it feels different, but it just does. 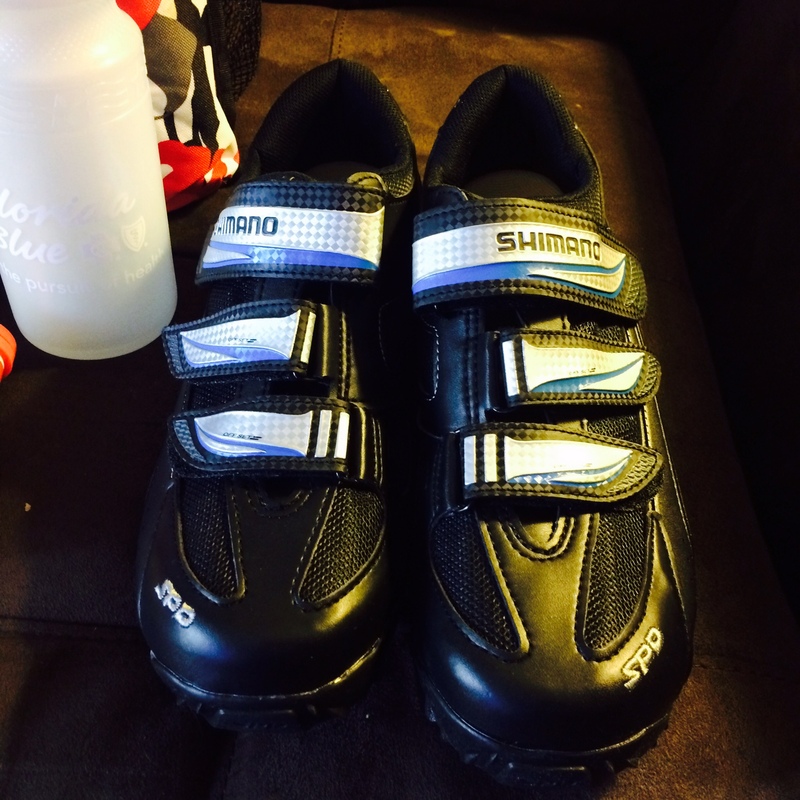 It’s a smoother ride, because your foot is attached to the pedal – none of the jostling around in the shoe straps. I got these on clearance at REI. Even if you can’t find a deal, they are a good investment, they won’t wear out, like ever (or so I’m told). I actually don’t use my Garmin at the gym, but I keep it in my bag so that it doesn’t get lost. 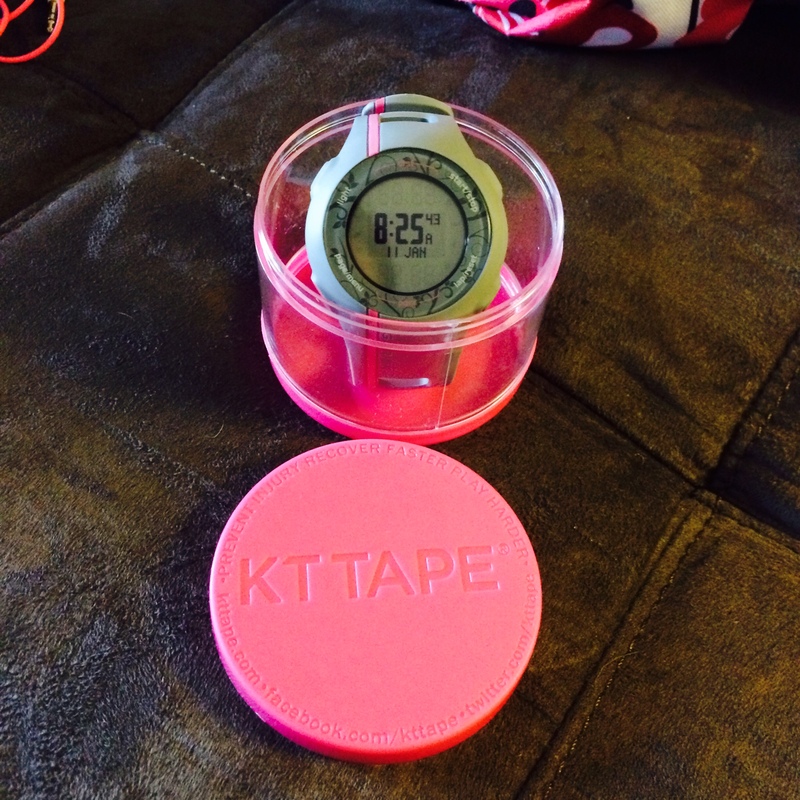 As you can see, I put those lovely KT Tape cases to use and store it in there. This picture contains so much miscellaneous. 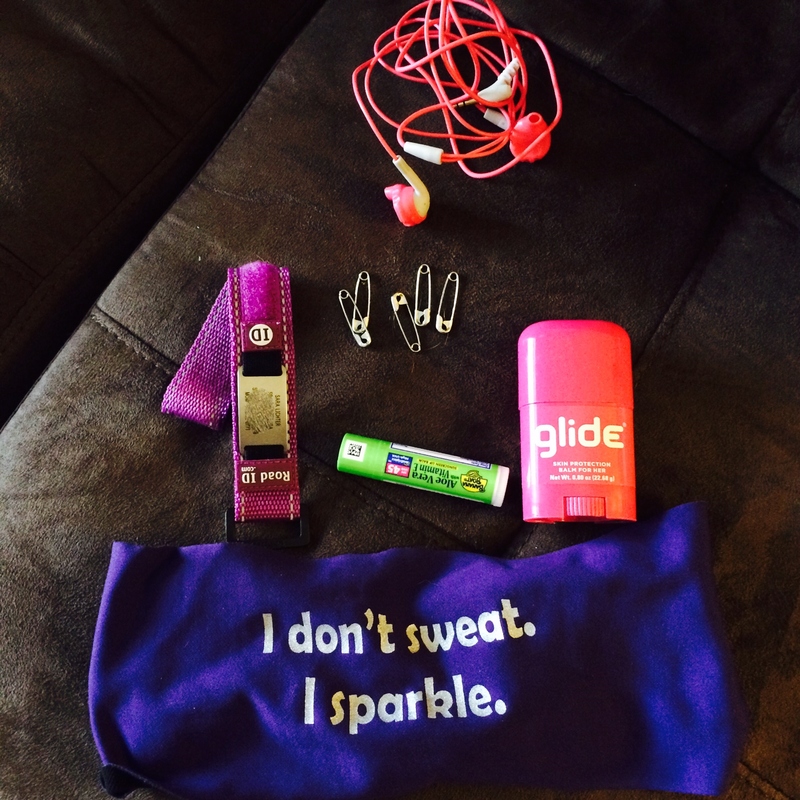 Due to the multiple pockets, lots of things end up in my gym bag for safe keeping. If I ever need something for a run, I know it’s probably in my gym bag. In this pic is a spare Bondi Band (they soak up ALL the sweat), Body Glide from last summer, my Road ID, chapstick, some extra safety pins, and my headphones. This bag should really be called my run bag. Last summer during my training, I used to just grab this bag and go. I would keep my hydration belt in it, my post-run snacks, Gus, a towel for my car… I was never running around looking for things in the morning when I knew I had to meet up with my group. So that’s my gym bag. This was an easy first link up! Can’t wait for next week. So, what’s in your bag? 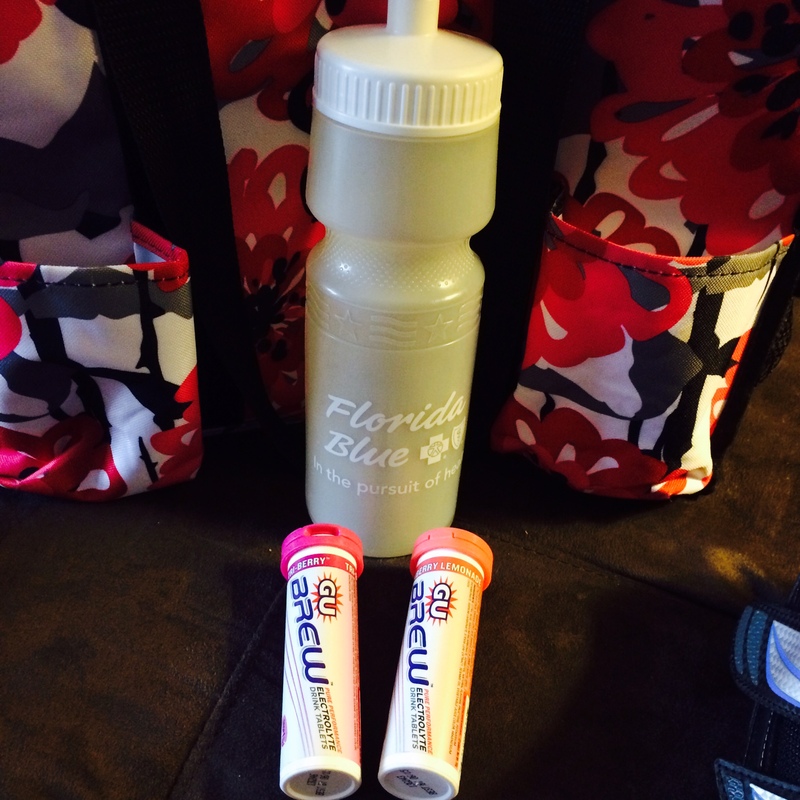 Nuun vs. Gu Brew – Where do you stand? Any other creative uses for the KT Tape cases?